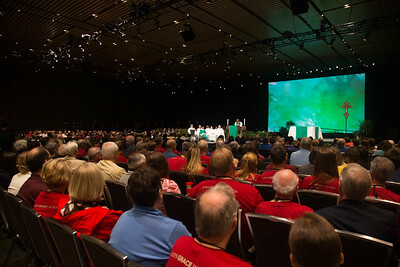 081016 - New Orleans, LA - CWA 2016, Plenary 6. VP nominees forum. 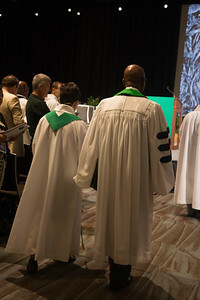 Reports of the Presiding Bishop and Churchwide organization. Third ballot for vice president. Pictured VP nominee Gwen Arneson. 081016 - New Orleans, LA - CWA 2016, Plenary 6. VP nominees forum. 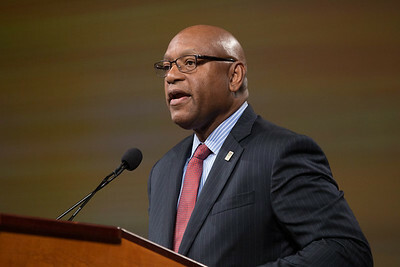 Reports of the Presiding Bishop and Churchwide organization. Third ballot for vice president. 081016 - New Orleans, LA -CWA 2016, Plenary 6. VP nominees forum. 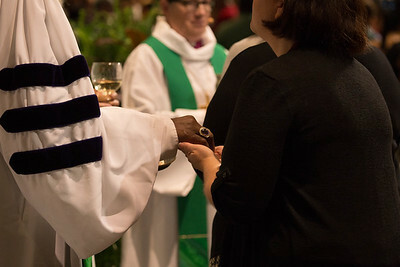 Reports of the Presiding Bishop and Churchwide organization. Third ballot for vice president. 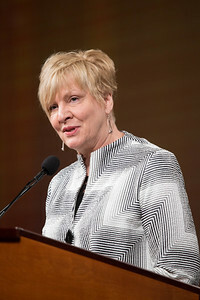 Pictured Angie Larson, Minister of Care and Outreach at Luther Memorial Church in Des Moines, IA. 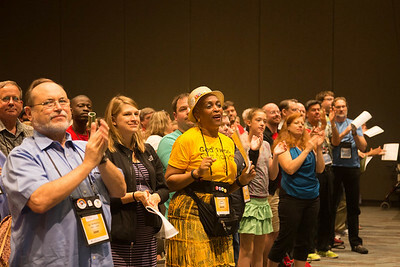 081016 - New Orleans, LA - CWA 2016, Worship. 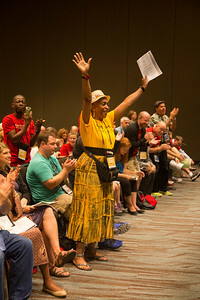 081016 - New Orleans, LA - CWA 2016, Plenary 6. VP nominees forum. 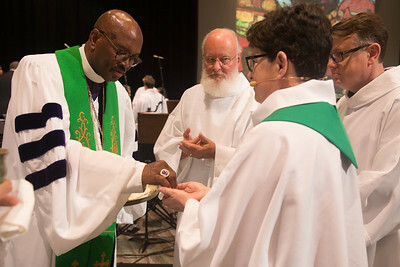 Reports of the Presiding Bishop and Churchwide organization. Third ballot for vice president. 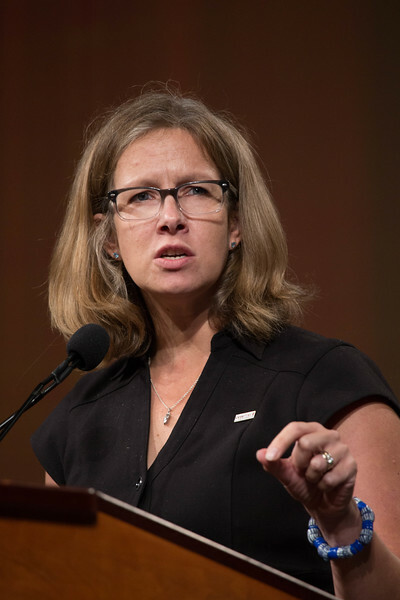 VP nominee Becky Blue. 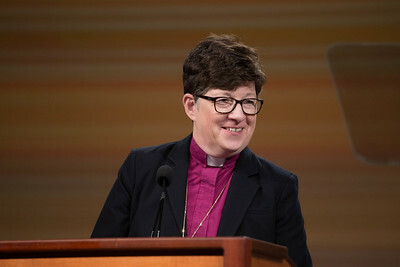 081016 - New Orleans, LA - The 2016 Churchwide Assembly begins with a welcome from Presiding Bishop Elizabeth Eaton. 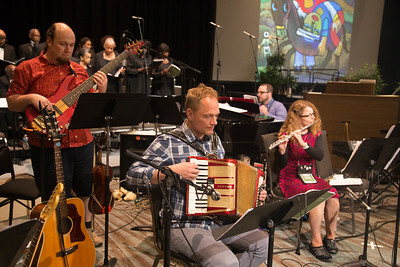 The Texas-Louisiana Synod also welcomed guests. Bishop Eaton went over rules for voting and other items pertaining to the order of business. 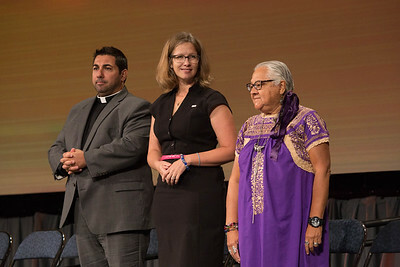 Pictured Gabi Aelabouni, Director for the ELCA Fund for Leaders; Angie Larson, Minister of Care and Outreach at Luther Memorial Church in Des Moines, IA; and Enedina Vasquez, leader of Platicas in San Antonio. 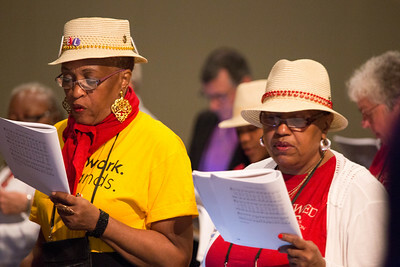 081016 - New Orleans, LA - CWA 2016, Worship. Pictured Bp. George E. Battle Jr and Bp. 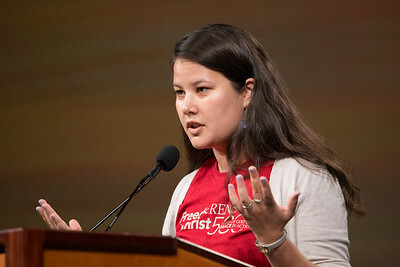 Elizabeth Eaton ministering communion. 081016 - New Orleans, LA - CWA 2016, Plenary 6. VP nominees forum. 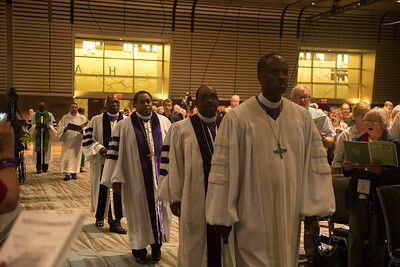 Reports of the Presiding Bishop and Churchwide organization. Third ballot for vice president. 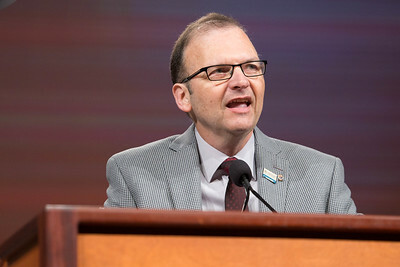 Pictured VP nominee Thomas Madden. 081016 - New Orleans, LA - CWA 2016, Plenary 6. VP nominees forum. 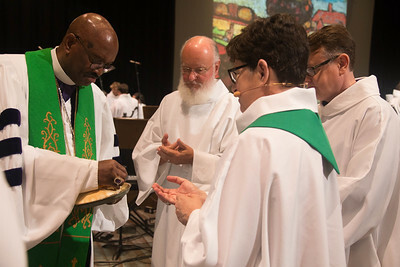 Reports of the Presiding Bishop and Churchwide organization. Third ballot for vice president. 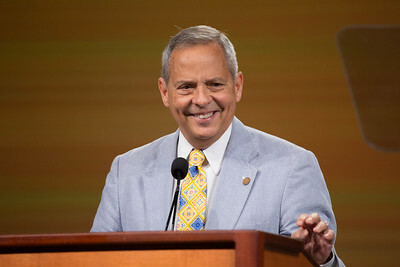 Pictured Carlos Pena, VP of the ELCA. 081016 - New Orleans, LA - CWA 2016, Plenary 6. VP nominees forum. 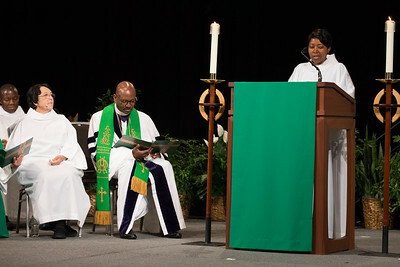 Reports of the Presiding Bishop and Churchwide organization. Third ballot for vice president. 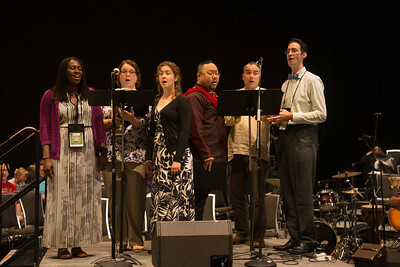 Pictured are the seven VP nominees. 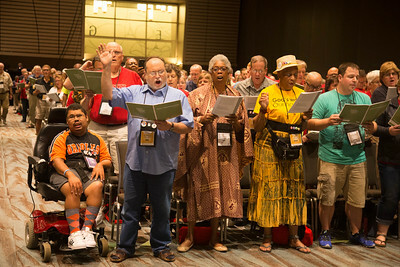 081016 - New Orleans, LA -CWA 2016, Worship. 081016 - New Orleans, LA - CWA 2016, Plenary 6. VP nominees forum. 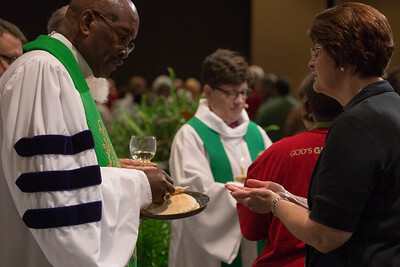 Reports of the Presiding Bishop and Churchwide organization. Third ballot for vice president. 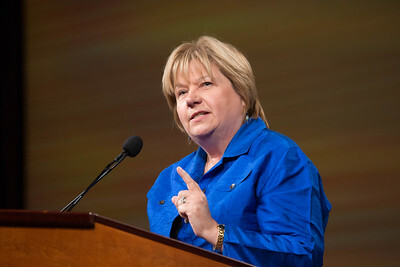 Pictured is Amanda Briggs leading the plenary in prayer. 081016 - New Orleans, LA - CWA 2016, Plenary 6. VP nominees forum. 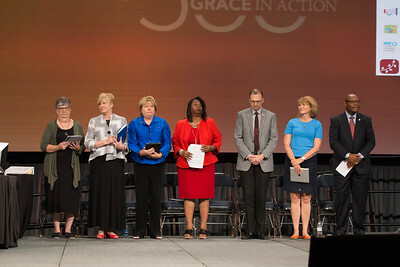 Reports of the Presiding Bishop and Churchwide organization. Third ballot for vice president. 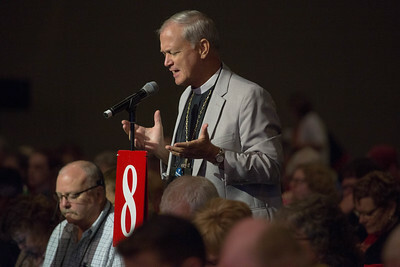 Pictured is VP nominee Bill Horne. 081016 - New Orleans, LA - CWA 2016, Plenary 6. VP nominees forum. 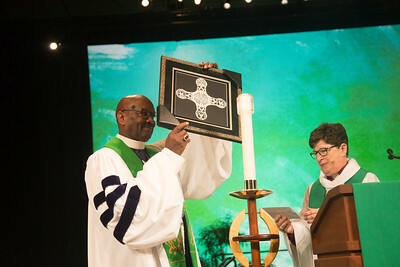 Reports of the Presiding Bishop and Churchwide organization. Third ballot for vice president. 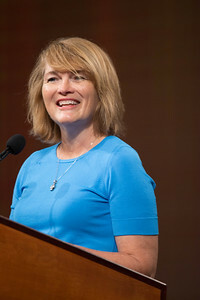 Pictured is VP nominee Cheryl Stuart. 081016 - New Orleans, LA - CWA 2016, Plenary 6. VP nominees forum. 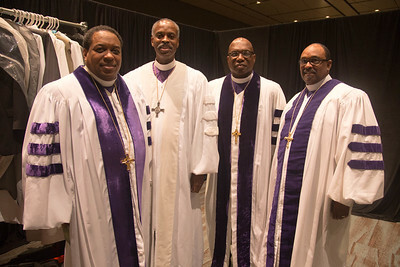 Reports of the Presiding Bishop and Churchwide organization. Third ballot for vice president. 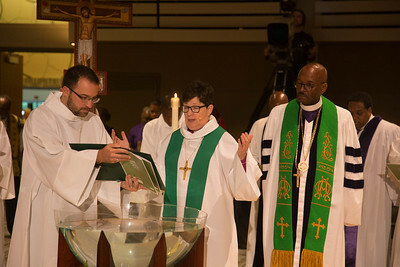 Pictured Bp Elizabeth Eaton.